2011 has been an AMAZING year for Running... Although I have not raced a lot, the races I have done have been EPIC (sorry I have been using that word a lot). I have one more race on the calendar..
REGISTER HERE and join me!! I will be running the 10K, not sure if I will race or not, we'll see.. Anyone else running this race?? Pretty please HELP me develop a racing plan for 2012. Would love to hear about WA and Oregon races that I could drive to. Also races that are well worth traveling to experience. You should show Detroit some love....The Detroit Free Press Marathon! Our marathon course offers international appeal traversing both downtown Detroit and Windsor, Ontario, crossing the border at both the Ambassador Bridge and Detroit-Windsor Tunnel. You will run through historic neighborhoods, around beautiful Belle Isle, and along the spectacular RiverWalk. The shared start-finish area on W. Fort St. at Second Ave., near Detroit Free Press operations, has enabled organizers to combine resources and improve runner and spectator experiences alike. VErmont City Marathon Memorial Day weekend is an awesome race. 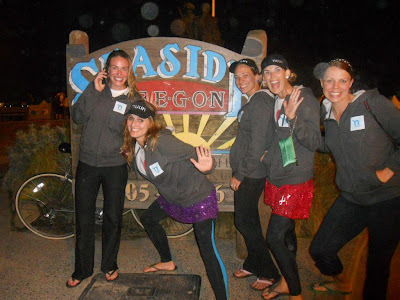 Ragnar Relay Northwest Passage! I'd love to get a team together full of awesome ladies. Falls at the end of July. I have heard that the Columbia Gorge marathon is beautiful, challenging and awesome! Also the Foot Traffic Flat Marathon/Half is a great race(Boston Qualifier) in Portland. Pretty and totally flat- but it IS on the 4th of July. Hi Mel! 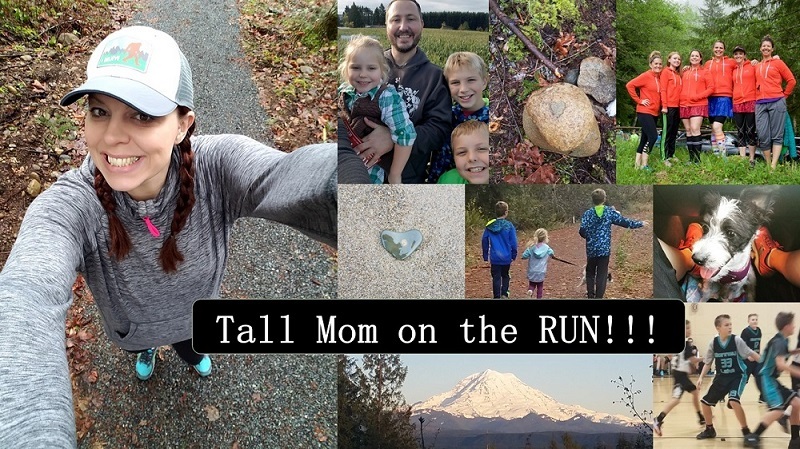 I hope you are feeling better :) My bucket list for scenic though not fast races in WA includes the Whidbey Island (HILLY) half in April and the Leavenworth Oktoberfest Half in October (turning leaves + good beer). I really want to do Hood to Coast next year - wanna do it again?! Maybe the Eugene half too? I agree with everyone that said inaugural Rock n Roll Portland Half-Marathon! It's going to be awesome! Helvetia Half-Marathon in Hillsboro, OR is also fun. Beautiful course and you get a burger (or veggie burger) afterward! I'm always partial to the Amica Marathon or Half in Newport, RI....who wouldn't want to run along the ocean and mansions?! It is in October...TMB is doing the half this year. M You really should run the Portland Marathon. Its always in October and its a little cold. But I love running in that kind of weather! The Pacific Crest events in Sunriver, Oregon the last weekend in June are awesome! You could try out a duathalon (or do the full tri if you are a swimmer...which I am not). I have done the half the last two years - great fun and Sunriver is an AWESOME place to vacation with your family. Miles of bike/running paths, etc. We love it so much we bought a condo there. You should check it out!! I forgot to add that they even have kids events - A Splash/Pedal and Dash, and a 1 mile fun run and a 5 k. Your kiddos could participate too! RNR New Orleans (march). I love that place and the race :) I would recommend the 1/2. Big Sur marathon (may). Technically sold out but they still have a few charity spots available. it is unbelievable. i did it last year and I am going back again this year. I want to do the Relay from Idaho to Spokane, also there is always Bloomsday since you love Spo-compton so much! Jesse and I are hoping to do that one this year. My bucket list races for 2012 are the Flying Pig Marathon in Cincinnati and the Army Ten Miler in DC. I've just got some weird desire to do Flying Pig (it might be the pink medal, I don't know) but I've heard amazing things about the Army 10 Miler and I can't wait to do it. Also on my bucket race list is RnR Seattle so hopefully someday I'll make it out your way! There's always the Girlfriend's 1/2 marathon in Vancouver in October - practically in your in-laws backyard :) Great race, great course, you know you want to! What about Eugene? Its May 1 and totally driving range! I don't have anything really planned for 2012 either besides maybe exploring some of the smaller local races. I do hope you will do RnR Seattle again!!! I can't wait for Tricia and I to travel up there for the full. I also hope to do Route 66 in Tulsa, OK in Nov and always Dallas White Rock Marathon in December. There is a half mary in Gig Harbor in Oct. My Jess is doing it! I am so proud of her!!!! 2012-OBX Full Marathon in Nov. 2012, or a fun destination???? Somewhere in the middle perhaps? How about getting a SMALL relay team for Rainier to Ruston? LOVE that race! Tacoma City in May is a good one! !I am doing Big Sur in April but the Full is full already, but they have other distances as well! RNR Portland Half or Helvetia Half! I'm doing both of those next year. I can also vouch for the Oregon Wine Country Half as a fun race out in wine country. Come on over to Cape Cod!!! I can find a race for you here!!! Zooma women's half is Sept 22! !